Kegs & Eggs Hunt Adult Easter Egg Hunt! 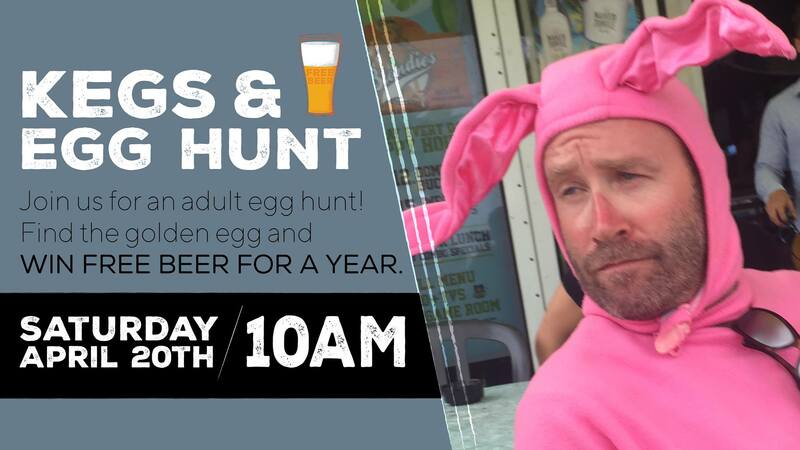 Join us on 4.20 for an adult Egg Hunt…Find the Golden Egg and get FREE BEER FOR A YEAR! * Plenty of fun for the kiddies too! The Hunt begins at 10am!